Best MetaTrader 5 Brokers UK, a complete guide, including MT5 demo accounts. The MetaTrader 5 is a trading platform developed by MetaQuotes who also designed the popular MetaTrader 4 forex trading platform. The MetaTrader 5 is a great all-around trading platform that can be used to trade forex and a range of CFDs. It can either be downloaded as a desktop platform, used as a web trading portal or accessed on a mobile device. Today, many CFD and forex brokers offer the MetaTrader 5 platform either on its own or together with the MetaTrader 4. On this page, we’ll walk you through some of the benefits of the MT5, and we will also provide a list of all the regulated MetaTrader 5 brokers that we recommend to our readers. The MetaTrader 5 is a powerful multi-asset trading platform and the first-hand choice for most modern traders. It was developed to complement the already established MetaTrader 4 which is best for forex trading. 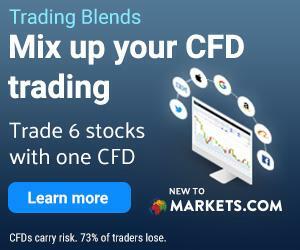 In addition to providing some excellent trading opportunities on the world’s leading instruments as CFDs, the MetaTrader 5 can be used for analytic work, price signals, and more. Besides being powerful and easy to use, one of the reasons why the MetaTrader 5 is so popular in today’s industry is compatibility. You see, MetaTrader 5 brokers can offer the platform in several different versions. The main platform is a desktop trading platform that you can download to computers running on Mac OS, Windows, and Linux which means most traders have access to it. If you trade on a shared computer or use a Chromebook or Windows 10 S that doesn’t allow for third-party downloads, you can use the web platform instead. The MetaTrader 5 web trading platform is a little limited compared to the desktop version but still versatile enough to offer you every feature you would need. As if that wasn’t enough, the MetaTrader 5 also comes in a mobile version. You can download the MT5 mobile platform to Android and iOS devices and trade CFDs on your smartphone, tablet, iPhone or iPad. As you can see, the MT5 platform can be used by anyone regardless of which device you prefer to trade on. If you’re interested in using the Metatrader 5 for your trading needs, you need to locate a broker offering the MetaTrader 5. Unfortunately, the MT5 is not as popular as the MetaTrader 4 and the number of brokers offering it is smaller. However, there is still a good selection of MetaTrader 5 brokers that you can choose from and we have listed all of them below. Below you’ll find the best three MetaTrader 5 brokers today and after that, we list the rest of the brokers offering MT5. Note that we would never recommend a broker that we didn’t feel comfortable using ourselves, meaning all of the brokers on this page are some of the best in the world. Markets.com is the undisputed top MetaTrader 5 broker in the world, and we don’t think anyone would argue with that. 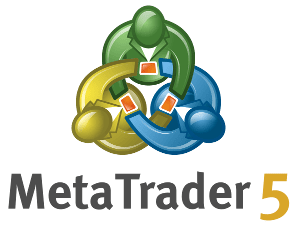 The reason being that the MetaTrader 5 is the only platform that Markets.com offers but also because their product is superior to most other brokers. Let’s be honest, what could go wrong with one of the best trading platforms in the world, thousands of available assets, and an award-winning demo account! XM is one of the most dedicated MetaTrader brokers in the world, meaning they offer both the MetaTrader 4 and the MetaTrader 5 and they do it well. In total, the broker provides access to 700+ assets, most of them are available on the MT5, and they have support for mobile trading, web trading, and every other feature you’ll need to perform at your best. 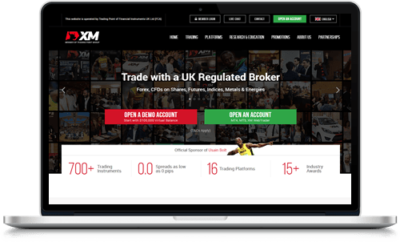 Sign up with XM today or open a MetaTrader 5 demo account to test the platform out and evaluate whether the broker is the right fit for you or not. InstaForex is a Russian based CFD and forex broker and one of our latest favorite brokers. They offer a solid product with some of the best trading platforms as well as the most popular assets. We also really like how well-designed the website is and all of the details that have gone into developing the brand. If you want to use the MetaTrader 5, InstaForex is a great option that we suggest you check out. The MetaTrader 5 is a trading platform that was designed and developed by a company called MetaQuotes which specializes in trading software. MetaQutoes is also responsible for the MetaTrader 4 forex trading platform that was released before the MT5. However, the MetaTrader 5 is not an upgraded version of the MetaTrader 4 but rather a separate platform altogether. The difference between the MT4 and the MT5 is that the MT4 was designed for forex trading, although it does have support for some other assets, mostly commodities and cryptocurrencies. The MT5, on the other hand, was developed with a unique set of tools and support for different financial markets and securities. In other words, the MetaTrader 5 is much more comprehensive than its sister platform and is often used by brokers that offer a large selection of assets and not only currency pairs. Today, most trading platforms, including the MetaTrader 5 come with two different accounts: live trading accounts and demo accounts. The MetaTrader 5 demo account was designed to offer traders the opportunity to trade in a risk-free environment in order to test the platform and practice trading. In the following guide, we’ll provide you with more information about the MetaTrader 5 demo account including the benefits and risks of using it. In addition, we’ve put together a list of all the regulated MetaTrader 5 demo account brokers. There are many benefits to using a demo account so let us get right to it. Generally speaking, demo accounts are used by two different types of traders. Most people that open a demo account are beginners that want to practice trading before they start risking their own money, or that want to test the MetaTrader 5 platform to determine if it’s for them. Furthermore, demo accounts can be used by experienced traders that like the platform and doesn’t need the practice. These people use the platform to develop strategies and test out new trading techniques or charting tools. There is actually a large misconception that demo accounts are only for beginners and novice traders, but that is not necessarily the case. We know a lot of professional day traders that still use demo trading as a part of their trading routine to this day. Many traders choose their brokers based on the demo accounts they offer which is why we put together a list of the best MetaTrader 5 demo account brokers. By clicking one of the links below you will be redirected to the reviews we’ve written about the brokers and there you can learn more about their services. In the reviews, you will also find links that will bring you to the broker where you can register a demo account or get started with a live trading account. First, let us take a look at the top three best MetaTrader 5 demo accounts today as well as why we recommend them. Then we’ll move on with a more comprehensive list of all the regulated brokers offering MetaTrader 5 demo accounts. In our opinion, there is no doubt that Markets.com is the best MetaTrader 5 broker out there. This broker has done it all right and is using the MT5 to its full potential by offering over 2,000 tradable assets on a wide range of markets. 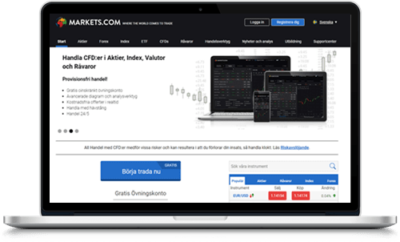 Markets.com has been a favorite of our for long and if you’re not sure why we suggest you open a Markets.com MetaTrader 5 demo account today. 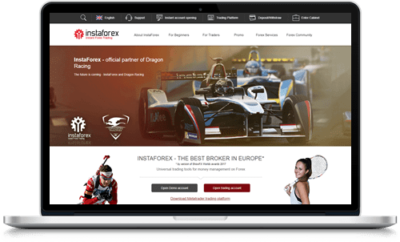 InstaForex has been a top forex and CFD broker for long and they offer a perfect setup of two of the best trading platforms in the world. The MetaTrader 4 is for forex traders and the MetaTrader 5 is for everyone else that wants to trade on a range of other assets. The broker is based in Russia but fully regulated and licensed to offer their services in Europe and elsewhere. XM is an internationally recognized super broker offering a large selection of trading software, MT4 and MT5 being the two main ones. The range of tradable assets is quite impressive with a couple of hundred assets spread across seven asset classes with some of the tightest spread around. This broker also offers a MetaTrader 5 demo account allowing you to test the broker before you sign up. How can risk-free trading be risky, you might ask. Well, it’s not the trading itself that is risky but the mindset that it can create. Many studies have shown how traders are more prone to taking risks and questionable decisions when they’re not faced with the risk of losing anything. People get careless and this becomes an issue when they start trading for real money. If you’re unable to change your mindset when switching from a demo account to a regular account, you run the risk of losing unnecessary funds that you wouldn’t have otherwise. This is easily avoided with some common sense and money management skills, but we thought you should know about it anyways. Are you planning to start trading forex and not CFDs? Then a MetaTrader 4 demo account might be better for you. And if you want to read more broker reviews we suggest you go to our list of the best CFD brokers. You can also read more about the best MetaTrader 5 brokers here. The MetaTrader 5 platform is a desktop platform, and the main software requires a download before it can be used. It currently has support for Windows, MacOS, and Linux. It is worth noting that the MetaTrader 5 is completely free, although it does require you to have an account with a broker. Now, as the industry has continued to develop, the MT5 has been forced to follow suit. And even though the platform was originally intended to be a desktop platform, it now comes in a few different versions, which brings us to our next point. In addition to the MT4 and the MT5, MetaQutoes has developed one of the best online trading platforms in the industry called the WebTrader as well as an outstanding Trading App. This means you can use MetaQuotes software as online tools as well. Furthermore, the MetaTrader 5 is also available in a mobile version, and this is one of the more interesting features. Today the MetaTrader 5 can only be downloaded to Android and iOS, and it’s uncertain whether more mobile operating systems will be supported in the future. However, for anyone sporting an Android or iOS smartphone or tablet, the MetaTrader 5 platform is an excellent tool. Let us repeat that you can use the MetaTrader on your iPhone, iPad, Android Smartphone, and Android Tablet. Not only does it allow you to monitor your open positions but it actually lets you open and close positions as well as apply stop-losses and such. What is even more amazing is that you can use the MetaTrader 5 mobile platform to analyze assets using one of the available charting tools. You could say that the MT5 mobile platform is an extension of the regular MetaTrader 5 platform and even though it’s somewhat limited, it’s an excellent option for anyone interested in mobile trading. Also, if you’re a serious trader, you probably want to be able to keep an eye on your open positions regardless of where you are, and for that the MetaTrader 5 mobile version is perfect. Compared to the desktop version, the MetaTrader 5 WebTrader is somewhat limited in its functionality, although it is perfectly fine to use even as a professional trader. As a matter of fact, the WebTrader has gone through some major updates lately, and the differences are now minimal at most. The main selling point is that it allows traders to access their trading accounts from any computer, even shared ones or computers running on an OS such as Chrome and Windows S.
The MetaTrader 5 web trading is 100% safe and all sensitive information is encrypted following the highest industry standards. We now know that the platform is available in the United Kingdom. Now let us take a look at how the platform works and what features and services it provides. Assets – The MetaTrader 5 is a multi-functional trading platform that offers access to the most popular financial markets in the world. It can be used to trade forex, stocks, indices, commodities, futures, cryptocurrencies, and more. Placing orders on any of these asset classes is as easy as it gets. Want to buy stocks from an exchange? No problem. Like to buy gold as a CFD? No problem. Pretty much any securities and markets are covered via the MT5. Charting Tools – With a MetaTrader 5 account, you’ll gain access to state of the art charting tools, graphs, forecasts, and everything else you could ever imagine needing. Analyzing prices is a breeze regardless of what market you are focusing on or which indicators you prefer to trade on. Apart from technical analysis, the MetaTrader 5 provides market updates, news, and other necessary information that you can use to perform fundamental analyses of underlying assets. In fact, the platform really has it all, and you will most likely not find yourself wishing there were other tools or features available. And if that would ever be the case, you have a huge range of plugins and add-ons that you can attach to the platform to optimize your opportunities. Automated Trading – The MetaTrader 5 is also big on automated trading, robots, and signals. There are several automatic trading solutions that you can control and set up on your own. For example, there are all the signals and alarms you could think of, there is the possibility to program certain aspects of the platform yourself, and then there is the MQL5 Wizard which is a leading trading robot in the industry. There is even an automatic feature called the Strategy Tester that lets you test strategies in a risk-free environment. Just like its sister platform the MT4, the MT5 comes with a demo trading feature. A demo account is a free replica of a regular trading account where you use virtual money instead of real money. Naturally, this creates a risk-free environment perfect for practicing and strategy development. We honestly think a MetaTrader 5 demo account is something everyone should consider opening since it offers amazing benefits for beginners and experts alike. Don’t believe us? Then do yourself a favor and open a free account today just to test it out, you won’t regret yourself. Follow any of the links above to be directed to our unbiased and detailed broker reviews where you can learn more about their products and services. And if for any reason you don’t find a broker that you like in that list, we suggest you check out our list of MetaTrader 4 forex brokers. Alternatively, you can visit our guide of CFD brokers to see if any of the brokers that have developed their own platforms will suit you better.